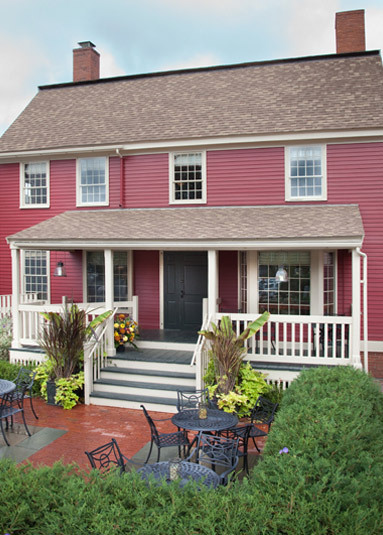 Part of the historic Strawbery Banke grounds, Mombo Restaurant, located in the former Dunaway Restaurant, is a fusion of new and old. In a previous life, before it was converted into a restaurant, the building housed a delightful general store with penny candy, toys and memorabilia of historic Portsmouth. A new curvilinear bar, glass wine case and kitchen layout compliment the old post and beam interior of its previous incarnations. The exterior of the building was not modified or damaged during TMS Architects’ restoration process. The interior was slightly rearranged for a different circulation pattern and restaurant equipment placement. The curved bar and open kitchen offer intimate seating while allowing patrons to watch the food preparation. 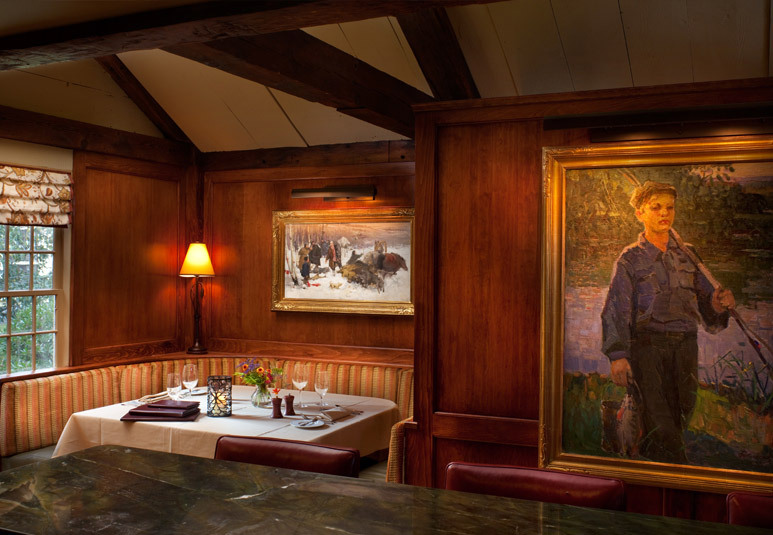 The interesting and vibrant Russian artwork meshes perfectly with the rich interior colors, new wood paneling and the post and beam structure of the interior. 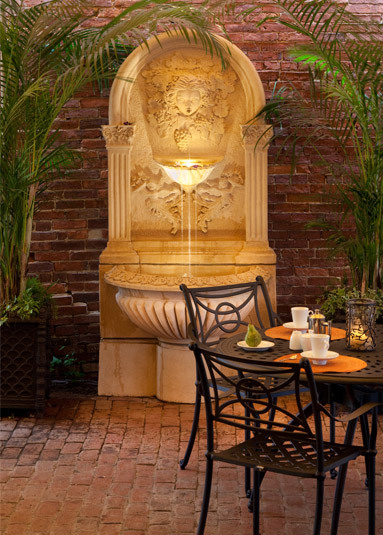 The redesigned rear entrance and a new fountain installed in the brick patio create a dramatic view corridor from the entrance of the restaurant. This space also acts as a smaller dining room for private parties. The name “Mombo” pays tribute to the hospitality and service the restaurant owners experienced at Mombo Camp in Botswana. 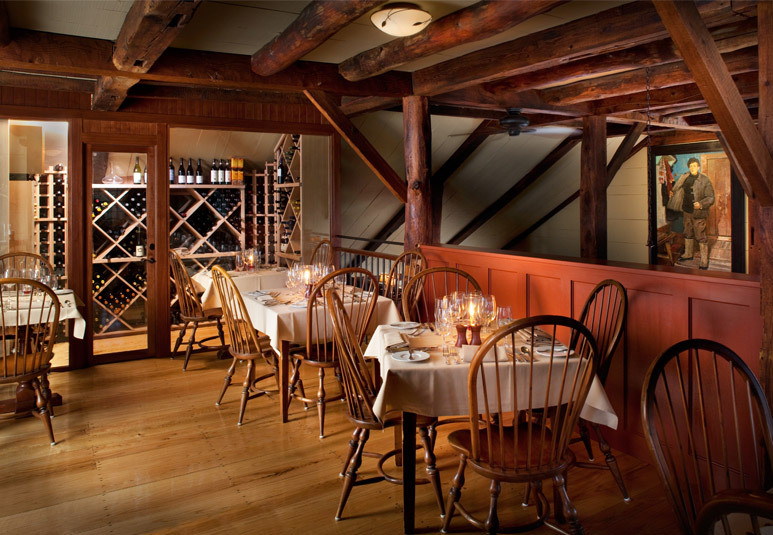 Their intention is to continue to offer this same warm hospitality and excellent service in the heart of Portsmouth, New Hampshire.